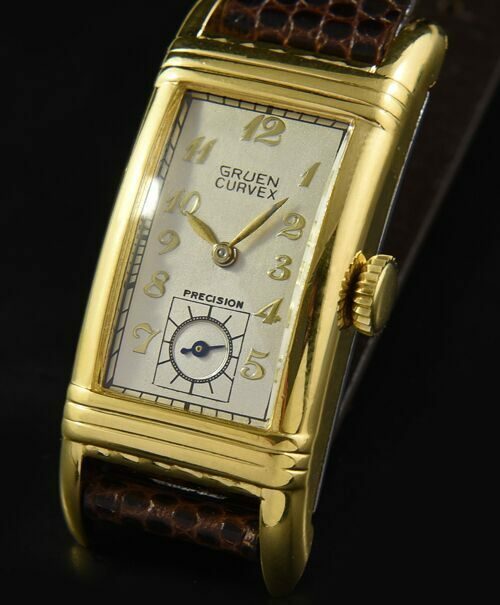 This is a fine and classic vintage GRUEN CURVEX dating to the 1940’s and measuring a respectable 20x35mm. 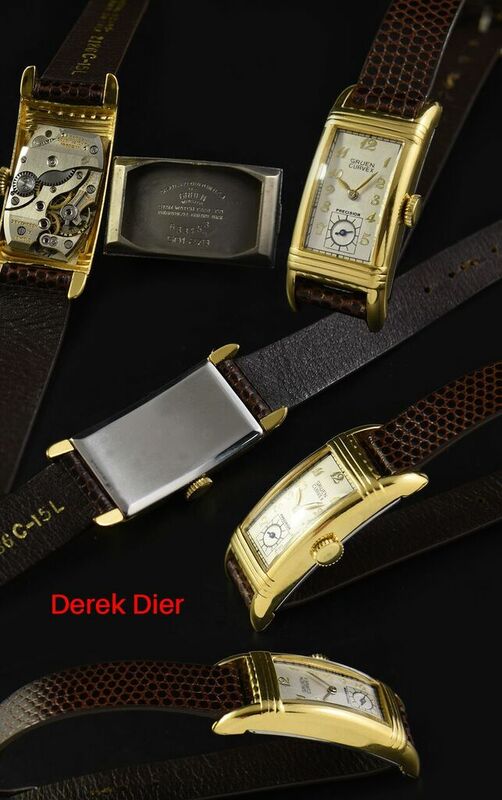 with curved case and ribbed gold filled bezel. The dial was expertly restored while maintaining the original raised gold toned Breguet numerals, lance style hands and blued steel sub-seconds. The manual winding GRUEN movement was just cleaned, sparkling and accurate.